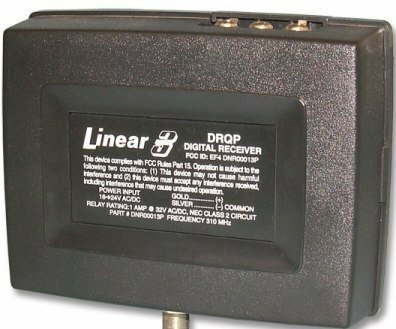 The Linear DRQP Receiver is a wireless radio control designed for use with gate operators. Includes a 9-inch local antenna. This receiver uses the Delta-3 digital eight switch coding of the receiver and the transmitters.